They don’t offer much different to what you will find in another top-end bakkie. South Africa is bakkie country. Each month Toyota and Ford go at it for the number one selling vehicle tag with their Hilux and Ranger offerings, both bakkies of course. And as a few other bakkie manufacturers have found out, selling bakkies in SA is not an easy job if you are not selling the bakkie of choice. This the second time I have driven the new X-Class. The first time was in South America last year and I came away less than impressed with the ride quality, but I felt I shouldn’t comment too much on the X-Class until I got the chance sample the actual product we are getting in South Africa. My reasoning for this was we get a slightly raised, 221mm of extra ground clearance, version compared to the European models. The specification could be slightly different, our roads are a little different and our bakkie and badge brand power mentality, and how we drive bakkies, is definitely very different. 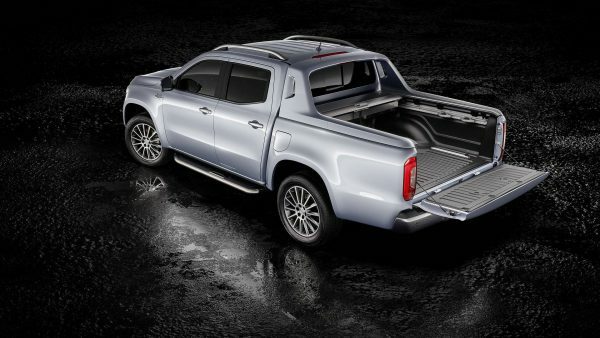 I am not quite sure where to start with the actual story of the X-Class because the official Mercedes-Benz press release says that their bakkie is the first to convincingly combine the versatility of a double-cab with the luxury of a passenger car, and that the South African bakkie landscape has been radically transformed. 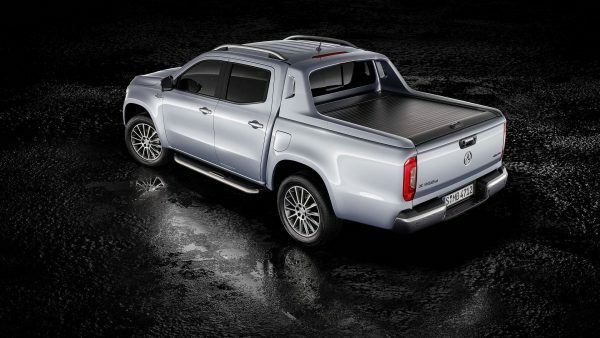 I certainly agree that it is probably by far the most anticipated vehicle to be introduced in the country right now, and that it has also established a completely new vehicle segment being the first bakkie from a premium manufacturer. I am not so sure about it radically transforming the bakkie segment. I know that sounds harsh, but my job is to tell the truth, and when you read further, you may or may not agree. It is no secret that the Mercedes-Benz X-Class is based very much on the Nissan Navara, a bakkie that is currently not enjoying massive sales success in SA. But the people from Mercedes-Benz are at pains to point out that they have put the Merc touch on every part of the X-Class, and this now makes it a premium bakkie, which comes at a premium price, too. 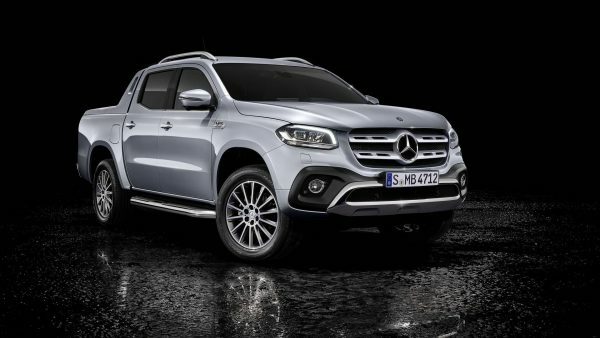 The X-Class has been launched with two design and equipment lines for different lifestyles and working environments. The X-Class Progressive that starts at R642 103, and is aimed at owners who want a slightly, and I mean only ever so slightly, more workhorse feel to their premium double cab. The X-Class Power, that starts at R763 256, is the high-end line offering. 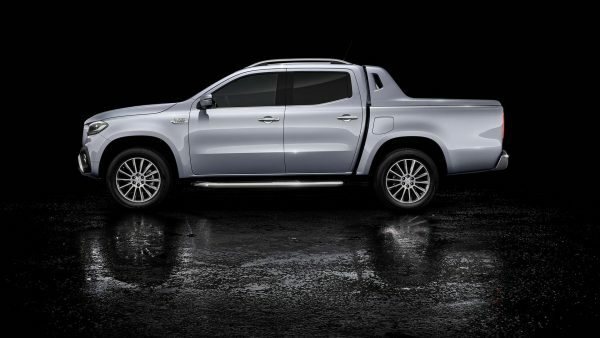 It is aimed at the richer customers who are looking for a lifestyle bakkie that extends beyond the mainstream, while still being suitable dressed for the urban environment, and then rugged enough for the more sporty, off-road leisure activities off the beaten track. So cheap it is not, and when you consider that most of the mechanical underpinnings, including engine and gearbox, are straight from the Nissan Navara, the power of the three pointed star will be proven when we see just how many people buy the X-Class over the better priced competition. At this stage, it doesn’t offer too much different from anything you will find in any other top of the range bakkie, to be blunt. I say at this stage because early next year, we will see the X 350 d, break cover and this model will use a Mercedes Benz powered 3.0-litre turbocharged V6 diesel engine, delivering 190 kW of power and a maximum torque of 550 Nm, while running a Merc seven-speed 7G-Tronic Plus auto box with steering wheel shift paddles. And this X-Class I believe is the one they should have brought to market first to show exactly what they mean when they say they have redefined the segment. For now, you get two 2.3-litre four-cylinder engines that deliver different power outputs. In the X 220 d, the engine generates 120 kW and in the X 250 d you get 140 kW. The X 220 d is available in rear-wheel drive, while the X 250 d is offered in rear-wheel drive or with engageable allwheel drive, with low-range. Power is transferred via a sixspeed manual transmission or a seven-speed automatic, model dependant. We only got to drive a X 250 d 4MATIC Power model on the launch, and I have to say that the Nissan engine and gearbox combination is adequate, but hardly class leading. A robust ladder-type frame with closed longitudinal profiles and cross-members provides the basis for transporting heavy loads. We obviously did not test this at the launch. Coil springs are used both at the front and rear. The front wheels are guided by double triangle wishbones. At the back, a rear multi-link solid axle with good articulation capability is well-suited to handling tough off-road terrain. This we did test, and the X-Class made easy work of it. The comfort suspension is said to be designed in such a way that it achieves a high level of driving dynamics and ride comfort on the road, while also delivering maximum off-road capability. in a ride that was quite jittery and not as smooth as I would have liked. So, what I felt at the vehicle’s overseas launch, is something that already exists in SA. Mercedes-Benz is the only manufacturer in the segment to opt for large disc brakes on both the front and rear. And with the various Merc control systems for driving dynamics that form part of the standard equipment, you do get a bakkie that stops safely and quickly every time. 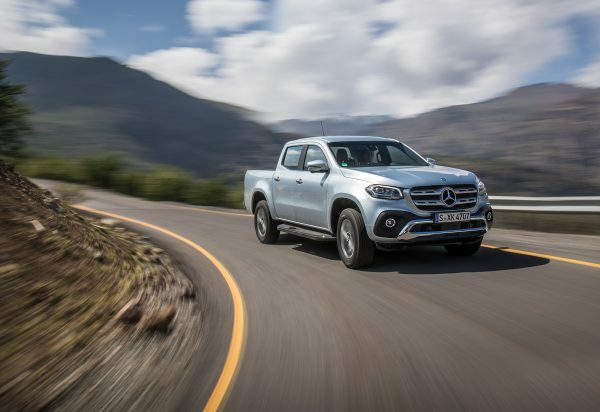 Safety has always been a core value at Mercedes-Benz, and the X-Class comes with a comprehensive array of comfort and safety equipment that is exceptional in this vehicle segment. With passive safety coming in the form of seven airbags as standard, along with Active Brake Assist and Lane Keeping Assist. To reinforce its above-par safety levels, the X-Class has already been awarded the highest possible score in the independent “Euro NCAP Test”. Inside, it looks and feels all pretty much like a Mercedes Benz, and that is not a bad thing at all if you are not too familiar with the Navara, because then you do notice some of the Nissan touches coming through, especially on small items that exist below your eyeline. But I was okay with what was on offer inside the X-Class. As is the norm with a premium manufacturer, Mercedes-Benz Vans South Africa has developed a comprehensive and striking range of genuine accessories that can be tailored to suit a customer’s specific lifestyle requirement and expands the design, functionality and already strong offroad capability of the X-Class. 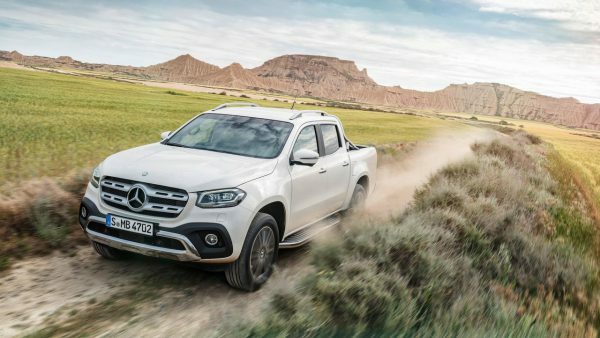 The Mercedes-Benz X-Class comes standard with the manufacturer’s PremiumDrive, designed to give customers complete peace of mind. It is one of the leading full maintenance plans in South Africa and ensures superior cover for 100 000 km/ six-years. For a nominal cost, customers have the option of extending the maintenance plan.